In the fun summer months, it is often difficult to remember that outdoor activities in the hot sun can cause serious damage to the skin. 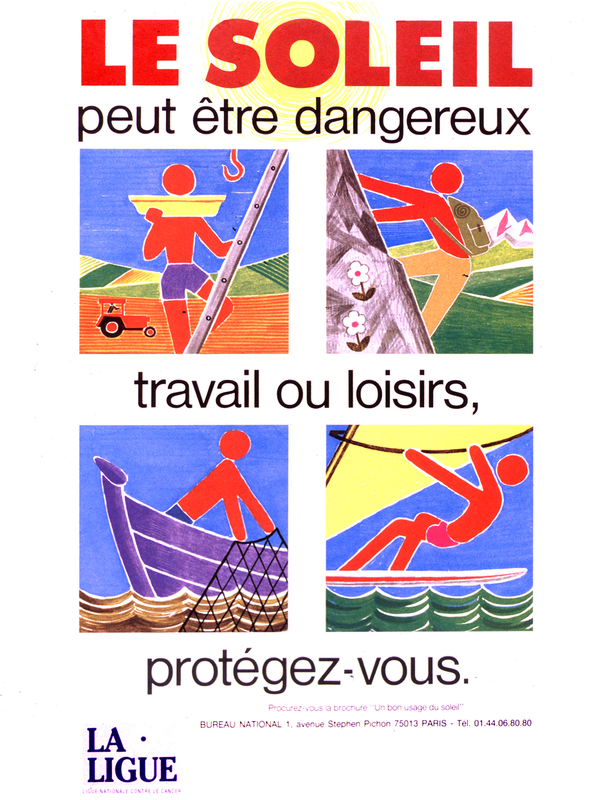 This 1997 French poster, “Le soleil peut être dangereux, travail ou loisirs, protégez-vous” (“The sun can be dangerous, at work or play, protect yourself”), published by La Ligue Nationale Contre le Cancer (National League Against Cancer), reminds us that it is vital to use skin protection in the sun. Excessive exposure to the sun’s ultraviolet (UV) light can result in rapid skin aging and skin cancer. The message holds true today in light of the recent call to action from the Surgeon General to prevent skin cancer in response to the rapidly increasing number of skin cancer cases (nearly 5 million each year) in the United States. Calling it a “major public health problem,” the report stresses that everyone is susceptible to skin cancer and nearly all cases are caused by exposure to UV radiation from the sun or indoor tanning. 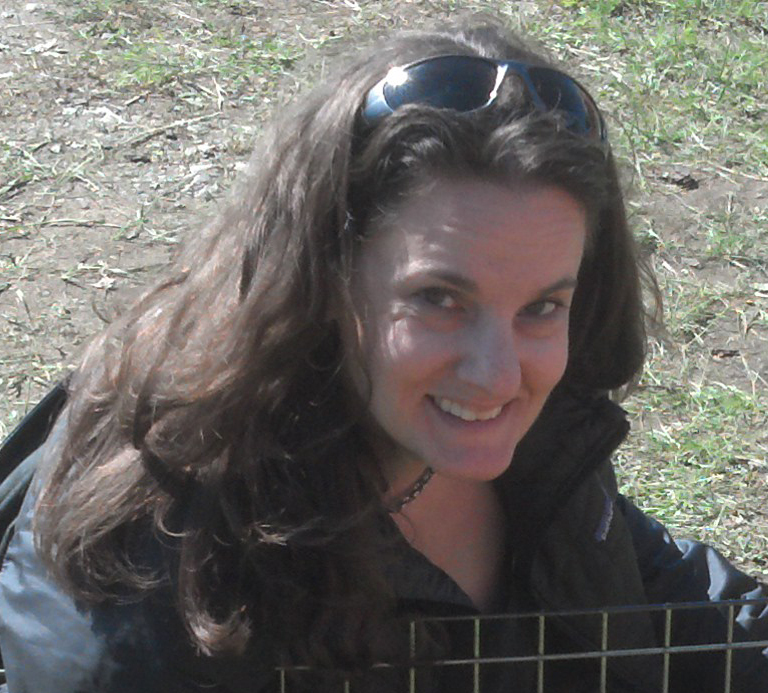 The reports seeks to communicate the risks of UV radiation exposure, strategies to prevent such exposure, and encourage a unified commitment from Federal, state, and local governments, health-care and education sectors, and individuals and families to, in part, increase opportunities for sun protection in outdoor settings, and modify attitudes and behaviors where indoor tanning is concerned. Founded in 1918 by Justin Godart, La Ligue Nationale Contre le Cancer promotes cancer research and education for cancer patients and their families. La Ligue stresses taking precautions and preventing skin damage by limiting exposure to the sun, especially during the sun’s hottest hours (between 10am and 4pm), using a sunscreen with a Sun Protection Factor (SPF) of at least 15 and renewing application every 2 hours, and acknowledging that sand and water can increase chances of burning because they reflect the sun, so they should not be thought of as a protection against the sun’s damaging rays. Like La Ligue, The Centers for Disease Control and Prevention (CDC) reminds us that protection from UV radiation is important all year—not just in the summer. Snow and cement can also reflect UV radiation causing equally damaging effects to the skin as direct exposure to the sun on bright, sunny days. Staying in the shade, wearing sunglasses that block both UVA and UVB rays, wearing a hat, and avoiding indoor tanning are among other means described to prevent short and long term damage to the skin. Thank you for your valuable feedback on our blog post, “A Call to Action to Prevent Skin Cancer.” We greatly appreciate your comment and hope you will keep reading Circulating Now.